Passengers in Hartlepool and Teesside can make Easter even more ‘eggsciting’ this year with ‘cheeper’ travel opportunities across the region for families. 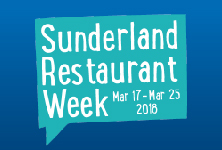 Stagecoach North East is encouraging people across Sunderland to make the most of the upcoming Restaurant Week and enjoy all that the city and its eating establishments have to offer. 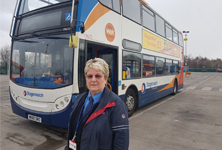 A Newcastle bus driver with almost 45 years on the roads is encouraging more women to jump on board on the buses with the chance for a long term career. 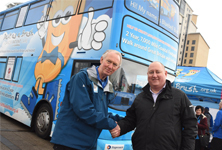 An old double decker bus has had a new lease of life and will be helping to raise millions of pounds for a north east cancer charity thanks to Stagecoach North East.